Theft or vandalism on your construction site can be costly for you, and it can also slow your building project down considerably. How do you ensure unwanted people do not gain access to your site? Optimal construction site security is geared to the construction phase of the project. If you know when your construction site is attractive to thieves and vandals, you can adjust your security accordingly. In this blog, I explain the products being used to outsmart thieves and vandals for each very construction phase. Foundations are laid during the first phase of the construction project. During this phase, relatively few people are involved in the project and hardly any expensive materials or equipment are used. As a result, the focus of the project is not yet on security. So which products are indispensable for the construction project during this phase? A sturdy fence, set up correctly, will ensure clear demarcation of your project. This will give your employees the space to do their work while keeping unauthorised persons off the site. 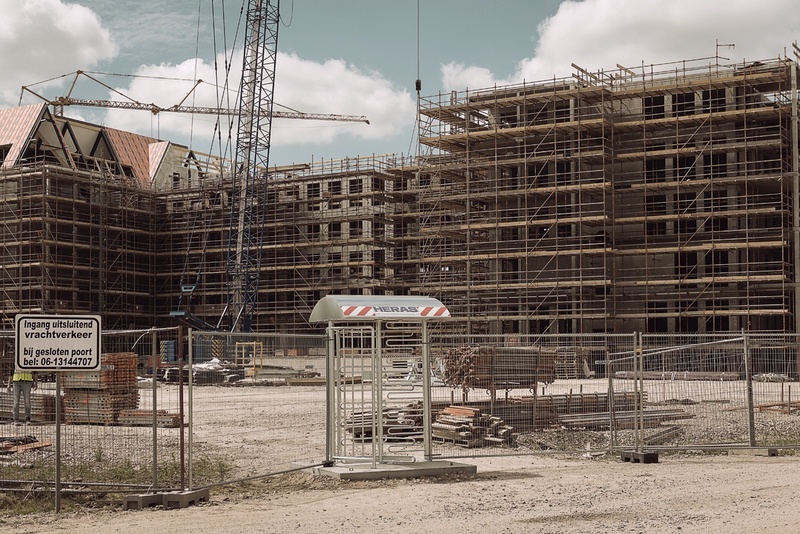 This not only contributes to construction site security, safety is also increased because local residents will not gain access to your construction site by accident and find themselves at risk. Access can be controlled using a walk-in gate or turnstile for people, and a swing or sliding gate for vehicles. The foundations for the progress of the rest of the construction project are laid during the first phase. Therefore, think carefully about ensuring optimal flow of vehicles so congestion is reduced as much as possible, including in the later phases of the construction project. During the structural phase, the concrete carcass is put in place or the construction of houses begins. Different specialists are involved and your construction site becomes obviously busier. This has consequences for construction site security. An access control system helps retain control over who has access to your construction site. There are different ways in which you can set up access control. For example, a rotary or sliding gate can be operated with a mobile phone communicator or hand-held transmitter. A hand-held transmitter provides you with the option to open a gate from a certain distance. You do not even need to be present when using a mobile phone communicator. Users call a special number and the gate opens automatically. You can control personal access using an automated pass or fingerprint control. This way, you can be sure only authorised people gain access to your construction site. To ensure your construction site is well protected after working hours, you can equip your fencing with security cameras with sensors. The cameras continuously record what is happening around your construction site. If someone comes to your construction site after work, the sensor system is activated. A warning is then automatically sent to the project manager or the alarm centre. Expensive equipment is often installed during the final phase of the construction project, so good security is essential. The security that was first put in place on the outside of the fence can now be moved to the place with the highest security risks: the inside of the house or the building. In this case, the use of sensors alone is often sufficient. When someone enters the construction project at inappropriate times during this phase of the construction project, it is immediately clear that this is an unwanted visitor. If someone enters the building after work, an automatic report is generated so the project manager or police can take action. How do you keep criminals away from the construction site? Thieves and vandals have no business being in your construction site. How do you ensure you outsmart them — especially in the final phases of the construction project? Using the right security material is a step in the right direction. However, if you really want to tackle construction site security, there is much more you can do. 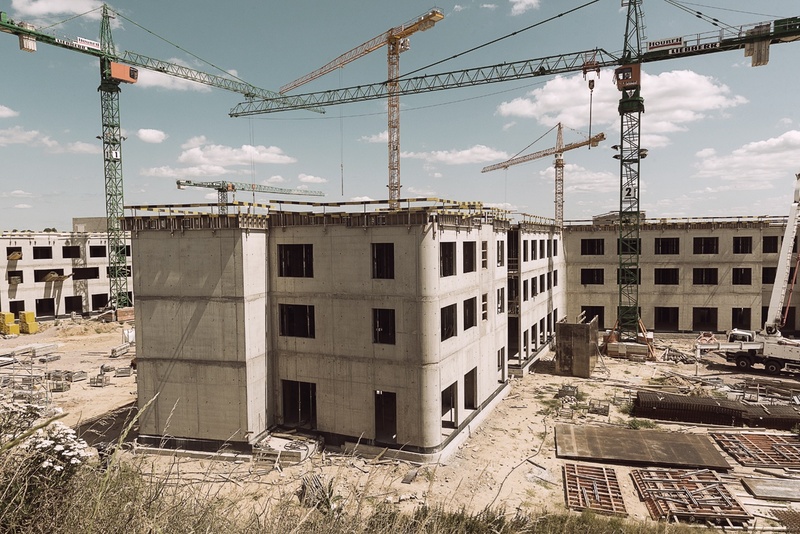 Not only do we understand that every construction site is organized differently, we also realize that the surroundings also play a role in the number of risk factors. We will go through a step-by-step plan with you until we come to an optimal security plan for your site. Request a specialist consultation appointment now, with no obligation!